Music at Bale Grist Mill! During nice weather the Bale Mill Musicians often gather to play traditional music. The 2018 schedule TBD. 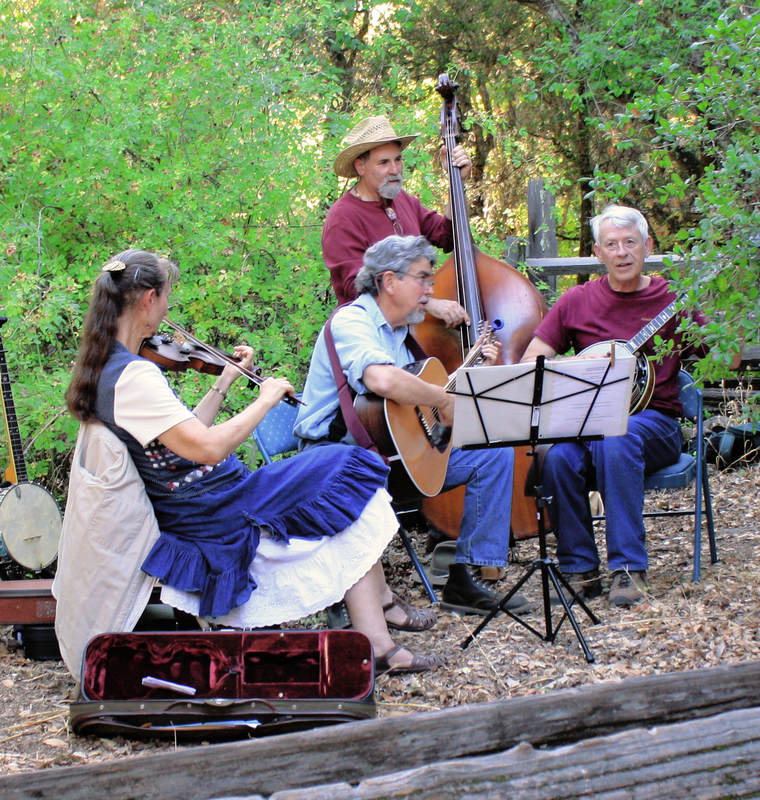 Come tour the mill, enjoy a picnic under the oaks and listen to the music! If you have a string instrument, join in! 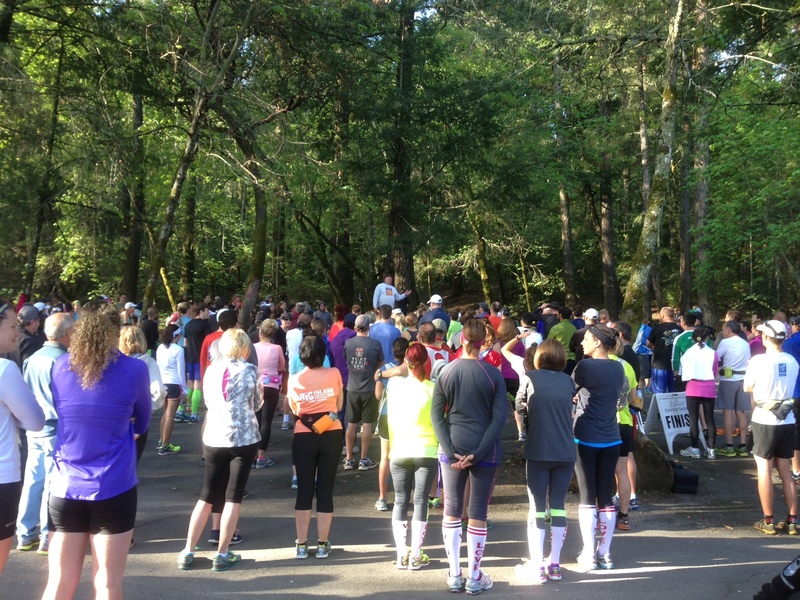 Listen to babbling streams as you run along on the lush, lower trails and challenge yourself with the hills of the higher trails within Bothe-Napa Valley State Park. The course is challenging with the hills, streams and rocks – which makes it all the more exciting and rewarding! 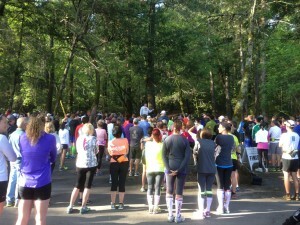 This run is great fun and located just minutes from great restaurants and wineries. Limited to 300 participants, this event sells out every year so don’t wait too long to register! 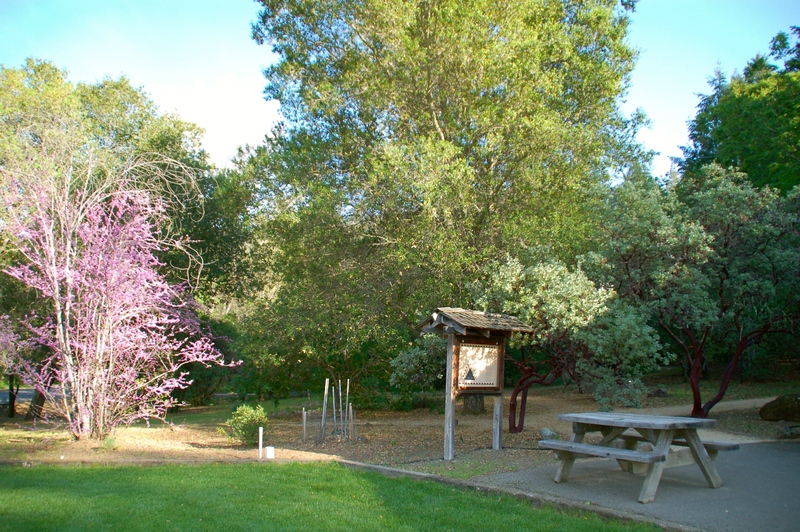 Bothe-Napa Valley celebrates every Earth Day with a spring cleaning in the Native American Garden. Volunteers weed and gently rake around the fragile native plants important to the first people of the area. 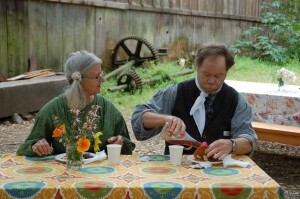 Some light pruning might take place under the guidance of the garden’s long time docent. We meet at the visitor center at 10:00 on a Saturday. 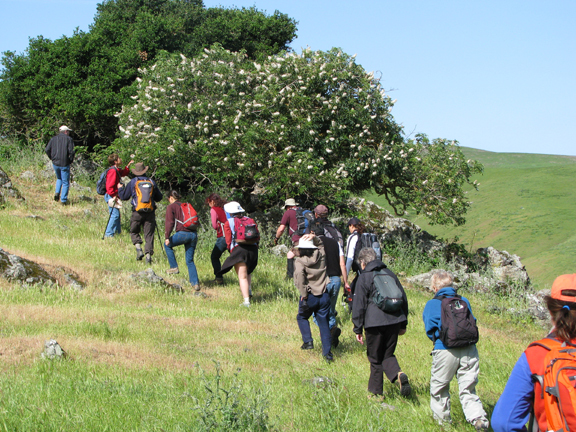 If interested contact us at: info@napavalleystateparks.org. Enjoy awesome Bale Mill Pancakes and help support the parks! $5 per person (kids under 6 eat free). 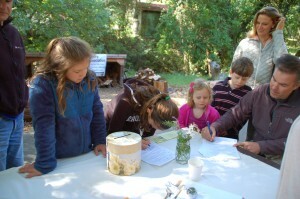 Sign up to become a member of the Napa Valley State Parks Association and receive one free breakfast. The NVSPA is a friends group, that supports the Napa Valley Parks. Become a member – have even more fun! 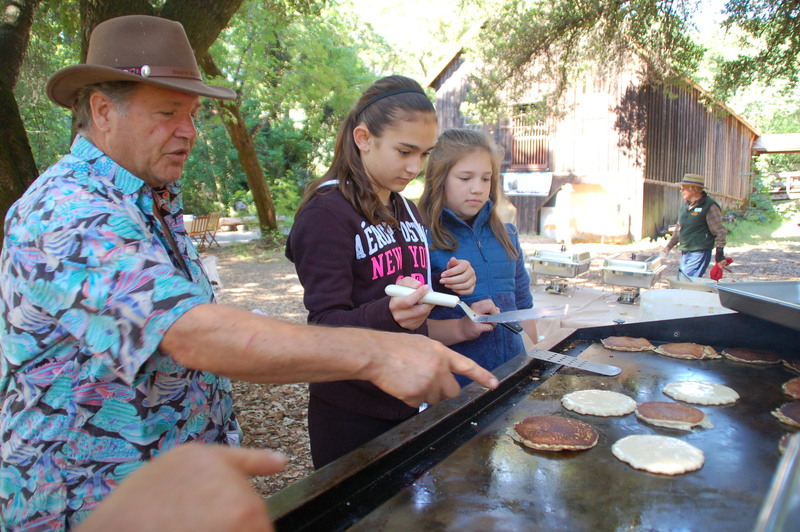 Bothe-Napa’s young campers can enjoy our Junior Rangers summer program – Saturday mornings in the summer from 10:00-11:30. Kids have great fun exploring Ritchey Creek, hiking trails and learning curious things about animals. 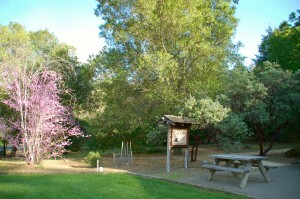 Ask the camp hosts where the Rangers will be meeting the Saturday morning you are camping. Celebrate the harvest season with us at our annual fundraiser dinner. 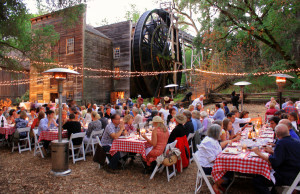 Every fall NVSPA, the nonprofit Association that supports all our state parks in Napa County, hosts an outdoor candle light dinner under the majestic oaks at the foot of the great waterwheel. This autumn event features a sumptuous farm-to-table dinner prepared from locally grown/raised food and paired with fantastic Napa Valley wines. Mill around with us and enjoy bidding on silent auction items while listening to old-time music played by local musicians. Our miller will give special tours of the now fully restored 1846 mill that still grinds grain with the original stones. Your ticket price and donations will help keep the great wheel turning! 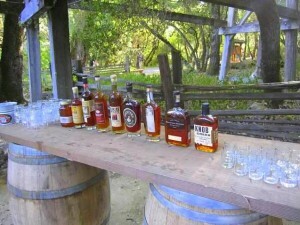 Tickets online at BrownPaperTickets.com event# 3573770 or call Sandy Jones at (707) 477-6305. A celebration of Mexican Independence Day and sharing the contributions of the Latino Community to the Napa Valley from the early 1800’s to the present. Parking is limited at the Bale Mill. A free shuttle bus service will be available from the Bothe-Napa Valley State Park to the Bale Mill. 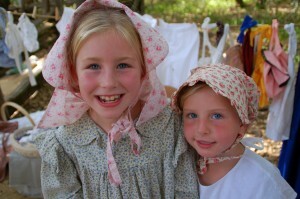 Old Mill Days – One Day Only ~ Saturday October 20th 11:00 to 3:00 Please note this change. Come enjoy Napa Valley’s rural past at this pioneer family celebration and see how hard our forefathers had to work each day! 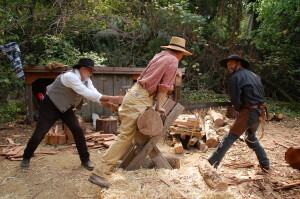 Try your hand at farm chores such as corn husking, corn shelling, wheat threshing, butter making, apple pressing, hand sewing, washing clothes on a washboard, twisting jute into rope or sawing logs into planks. Many other activities such as making a corn husk doll, calligraphy lessons, waxed egg decorating or wheat weaving occur from year-to-year. 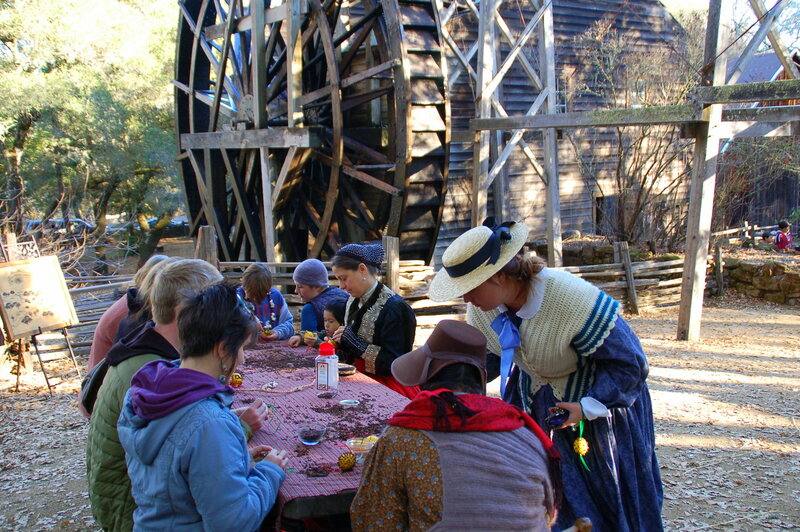 To add to the experience of stepping back in time, our mill docents wear period correct clothing and hats. Old time clothes are available for children to wear. Musicians play old-time music. Stew, cornbread and cider available for an additional fee. Saturday ONLY 11:00–3:00. $5.00 fee; Children under 6 free. If you like old machinery, come on out to Bothe-Napa Park to see what we are up to now! 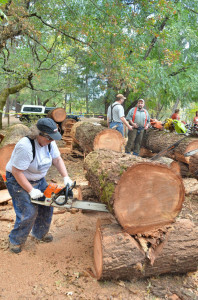 There will be a gathering of old sawyers and forestry minded folks who like to indulge in the technologies of logging, hazard tree reduction and arborist work. Many of these folks also restore old saws, portable winches, old stationary engines and accessories. Some are into modern equipment and just want to share ideas on timber management and antique machines. There will also be a swap meet so take a look around the garage and bring in an old tool or two to add to the swap. 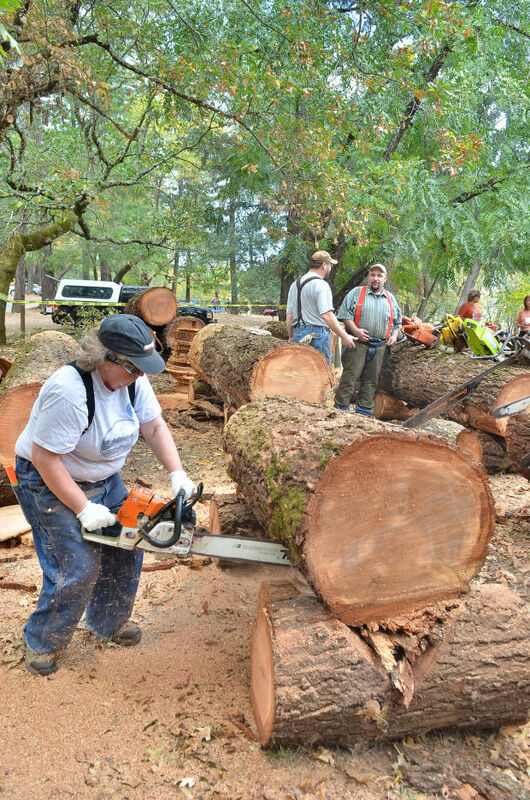 Logging demonstrations and chain saw safety classes too. $8.00 per car park day use fee. 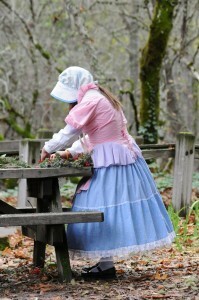 Every Christmas season, Bale Grist Mill hosts a 19th century Christmas celebration, pioneer style. Enjoy making a clove pomander or wreath of rosemary for your home, or string popcorn and cranberries for the tree. Write a letter to Santa in calligraphy and seal with red wax. Children especially enjoy decorating gingerbread cookies, cutting paper snowflakes and making “leavings dolls” out of scraps of fabric. 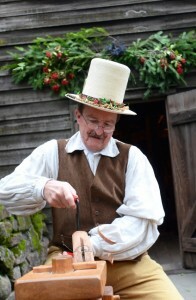 There are demonstrations throughout the day: lace making, wool spinning, waxed egg decorating and milling demonstrations. Cookies and cider too! $5.00 fee; kids under 6 free.